In this exclusive interview with TNIE, Pilot shares a roadmap for Rajasthan, in two separate conversations, one before the polling and the other post-poll. 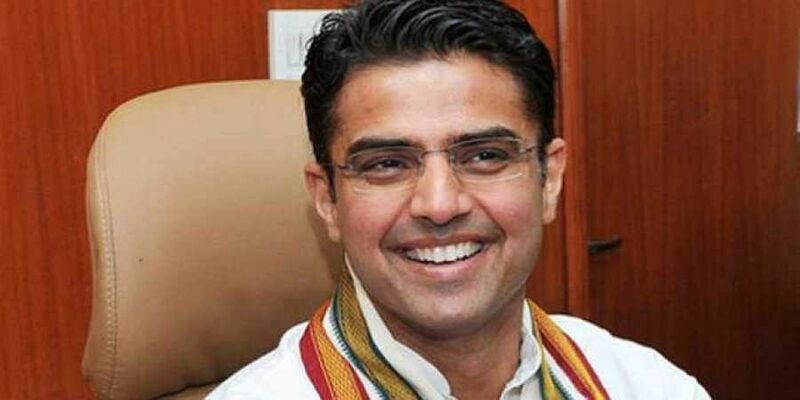 JAIPUR: The Rajasthan Pradesh Congress Committee chief, former Union minister Sachin Pilot, is one of the two faces that his party projected in the campaign. Pilot, a front-runner for the chief ministerial post in the event of a Congress win, which is being indicated as a likelihood by exit polls. Q: The exit polls, by and large, seems to be in agreement on one issue, the Congress is winning Rajasthan. Do you and your party feel vindicated, particularly since in the last few days of the campaign the BJP seemed to pick up steam and it was felt that they were back in the game? A: I’m of the firm belief that when the results come out on Tuesday (December 11), the numbers for the Congress party will be better than what any of the exit polls have predicted. I’ve travelled extensively in the state throughout the campaigning and seen the people’s response. I’ve no doubt...the Congress is sweeping Rajasthan. What is the singular factor that you feel propelled the Congress campaign? The people’s anger. Vasundhara Rajeji led a very unresponsive government — unresponsive to the problems of the people. She had actually shut the door on the people of the state. But what the voters also appreciated was that the Congress was there on the ground, fighting with them for the last five years. Never failing once to take up an issue. So when we went to ask for votes, the people were ready to support us as we were with them all the while. It seemed seamless. Now the question that again comes up, who will be the chief minister in the event of the Congress winning majority, you or Ashok Gehlot? That is something that the party and the high command would decide. It’s not for me to hazard a guess. The MLAs will elect a leader/CM when the time comes and it’ll also depend on who the high command wants to work where, in what capacity, in the best interest of the party. But this bipolarity in the state leadership cropped up during the campaign as well. The BJP made it an issue and called it confusion. A: It was never an issue. The BJP tried to spread confusion, it did not work. It was for everyone to see that the Congress was working as a team. From the leadership to the rank and file, we have worked very hard without losing focus on the people’s issues. The Congress never goes to elections declaring a CM candidate, that’s the history and that’s how our electoral system functions. In the election, you campaign for what you’ve to offer as a political party — together we’ll give a government where the people’s voice would matter. Bhagidari ki sarkar, janta ki sunwahi (government by participatory means). Well, you promised a farm loan waiver within 100 days...but what about other the pressing issues? How do you give jobs to youth when the economy in general, globally, is not really picking up? A: The current agrarian distress is not a matter that can be kept pending. It has to be addressed immediately, there has to be some relief. As for job creation, we have made it very clear that we are looking at investment, not from the MNCs. Our focus will be the small and medium industries — the real backbone of our economy — that’s what can fuel growth that touches everyone, percolates down to the last person. Empowering and hand-holding of the small and medium-size businesses would automatically lead to job creation. Plus, what is needed for trade and business to flourish is an atmosphere where there’s no tension or fear or any underlying anxiety in the society. If peace and equanimity prevails, people feel free to go about the lives, the economy will also pick up and a level or sense of well-being can be restored. Water seemed to be a big issue throughout the state, the dipping ground water level has forced people to buy drinking water in many parts of Rajasthan. It’s affected farming as well...and ban on bajri (mining of the river bed) was being talked of everywhere. Yes, yes that (water issue) would need some urgent intervention. The Congress is going to look at all these, ground water, farming, irrigation, expansion of canals, mining — all of what the people have raised. The river mining issue has to be revisited, since there’s a clamour for it. Why does the BJP have a monopoly over temples? The Congress and the party leader cannot go to religious places? Cannot express their faith? We don't discriminate, ours is an inclusive message. It was being said that the underlying tussle between you and Gehlot saab has percolated down to the caste level and there was tension between the two communities on the ground. I don't want to comment on baseless speculations. There was no such thing. Gehlot saab and I have worked together. He has been a former CM of Rajasthan, not just a caste leader. I’ve campaigned across the state and worked as the PCC chief for the four and a half years. But you had to face a heavyweight in Tonk, the constituency you were chosen to contest. It was said that the attempt was to tie you down? All I can say is, I am winning in Tonk and the Congress is winning Rajasthan with a very comfortable majority!